This is a large topic and I can’t cover everything about it in one post. But I’ll make a start. Firstly, what is anger? Well, it is an emotion. It’s a feeling. Next, what is is not. It is not a behaviour or action. Often when we say someone is angry, we are referring to someone raging, shouting or even being violent. These are behaviours. They might arise from anger, but they are not synonymous with anger. It is entirely possible to feel anger and not show any behaviour at all. Anger is a natural response to being threatened in some way. Back in distant history, this might have arisen from an enemy tribe attacking you. Nowadays, it can arise from someone insulting you or violating your ethical code. Either way, this feeling releases a surge of adrenalin. If the threat was a physical one, this is really useful. Depending on your strength and that of your enemy, you would either want to fight them or run away. In the 21st century when the threat is more likely to be an insult, these responses aren’t so useful, but the adrenalin response will still bring up the same feelings (usually the fight response). This is why anger is so often related to violence and aggression. Interestingly, we often find in today’s society, where many of us wouldn’t dream of being physically violent, arguments are the choice of anger expression. We may want to rage at someone who’s wronged us, or we may want to send them an angry email. This may even seem like a positive thing to do, but throwing your anger at someone in this way is unlikely to have a constructive outcome. However any violent rage can be frightening to those around us and even ourselves. One of the symptoms of adrenalin release is a surge of strength and energy, so a release of emotional anger can have a lot of force behind it. If the cause is a misunderstanding, or an unintentional slight, then this can be completely out of proportion and, as such, has become socially unacceptable in modern society. So, most of us have been brought up to suppress anger. Maybe we were told off if we displayed aggressive behaviour when we felt anger. Maybe our anger was met by fiercer anger from a parent and it scared us. Now, I’m not advocating that we let all our children run around punching people and breaking things – that would be silly. After all, they have to grow up to live in a modern society where that isn’t acceptable. However, when we tell someone off for being angry, we are often not discriminating between the emotion and the action. A child will hear “don’t be angry” and interpret that as “I’m not supposed to feel the emotion of anger” or even, “I’m a bad person if I feel anger”. So we learn to suppress these emotions and this can be the start of problem. As with the suppressing of any emotion, if we stuff it down, rather than processing and releasing it, it stays around and festers. And because anger is a volatile emotion, eventually when is does bubble up to the surface, it can have enough force to cause a minor explosion. Now, remember, I spoke of anger as being a natural emotion to feeling threatened. Well, many of us have had experiences in our past which would naturally bring up anger. Maybe we were bullied at school. Maybe we were abused by a trusted adult. Maybe we not believed about something, and reprimanded unfairly. Maybe someone else got us into trouble and let us take the rap. Maybe we weren’t listened to, when we needed to be heard. All these situations, and many more too, can produce a normal feeling of anger. However, if we aren’t able to express it because we’ve been taught not to, what happens? Well, we have to accept something that is probably unacceptable. It’s going to definitely mess with how you see the world. And the anger will still be there, albeit buried. So, if this continues to happen, which is likely if you are growing up in a culture where you’re not “allowed” to be angry, you will find more and more anger gets suppressed and sits buried below the surface. Many people carry around this kind of suppressed anger. Depending on how good they were at burying, some will not even be aware of its existence. I was one of those. I remember the first time I was told by a healer that I was carrying around anger, I didn’t believe her. It was only when I was further down my healing journey that I learnt to connect with, and then release, it. So, what’s the solution to all this? Well there are a few. Firstly, we all need a healthy way to release built up anger, before it gets to an explosion point. Physical exercise can be one of them. Many people find running, or even going for a walk helps. Some people find hitting a punch bag lets out aggression. For others, punching a cushion is enough. Going somewhere you won’t be disturbed or be disturbing anyone and screaming at the top of your voice can also be very therapeutic. Actually, one of the most powerful ways of expressing anger is to simply verbally express how you are feeling. By expressing your anger in a safe way, you will find the emotional intensity will subside. You will still need to address the cause, but this will be easier once the intensity of the anger has subsided and will lead to actions you will be less likely to regret later. 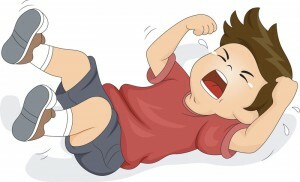 Children instinctively know how to release anger. They scream, cry or even throw a tantrum. Most parents try and stop these behaviours, but I believe that unless it’s likely to be dangerous or destructive, it’s better to let it run its course. Any anger release will usually burn out fairly quickly unless someone is trying to stop it mid flow. Imagine, you are trying to release your anger and someone comes along and tells you to calm down. It’s not very likely to go down very well. Once they’ve calmed down, you can deal with the issue. But the key is not to make them feel wrong for feeling anger in the first place. As they grow up, they can learn more developed ways to process their anger. So what do we do with all the suppressed anger. Well, if we’re not aware that it exists, we can’t do much. But if you are aware that you’ve experienced events that would have normally produced an anger response, you could assume you have some and look for some help in healing it. Often unexpressed anger becomes resentment, bitterness or depression, so if you have a lot of them, this might be a clue. Often we know we have suppressed anger because it either bubbles up from time to time in a huge explosion or a huge force of feeling over the smallest issue. Or we can find ourselves feeling angry but not really knowing why. Both of these suggest there is unresolved anger under the surface. Kinesiology is an excellent way to clear this anger. You will get awareness of where it came from but you won’t have to re-experience it in all it’s force. Most people find they feel lighter and more energised when they’ve released any emotional baggage. With releasing anger, this is even more relevant, plus you lose the fear that you might explode and do something you may regret.